excellent hiking at nearby Pinnacle Peak. southwest, with cacti and desert plants. 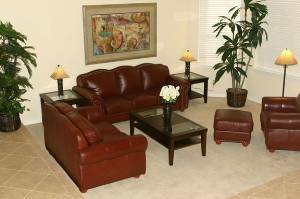 can unwind on the comfortable leather sofas. silverware, and glasses than their own homes. chaise lounges, and the heated pool and hot tub. There are four bedrooms and two full baths upstairs. buddies, or groups of friends. There are many sightseeing destinations such as museums, galleries, and architectural landmarks nearby. Great shopping and the unique southwestern landscape make for an unforgettable vacation. Spacious backyard includes a private pool and hot tub. Living room features vaulted ceilings and new leather sofas. Kitchen includes a full stock of plates, glasses, pots, pans, utensils, spices, and appliances. Dining area seats six while formal dining room seats eight. We also have a high chair and kids table. Family room features a queen sofabed, TV, DVD/VCR/CD stereo, and fireplace. 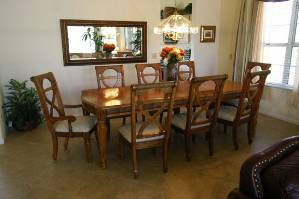 Dining room has formal seating for eight but can comfortably seat ten. 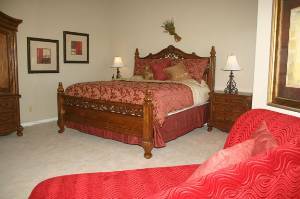 Master bedroom features a king size bed, private deck with valley views, master bath and walk-in closet, and TV with DVD/VCR. We had to be in Scottsdale for a wedding so decided to make a family vacation of it . We had to look for a house that would accommodate us (9 adults, 3 children). Joe, your house was perfect. We all very much enjoyed your lovely, spacious home, the backyard and pool and the very, very beautiful neighbourhood. As a matter of fact, my 7-year old grandson said to me: "Who found this house? It is so awesome. And the neighbourhood is so quiet - you don't even hear any car engines." He summed it up very well for all of us. If we have an opportunity to come again, we will definitely contact you. Had a group of 12 guys for a golfing weekend in beautiful Scottsdale, AZ. This house was amazing. Fit all of us very comfortably. The house has everything you could ask for and more. Already starting to plan our next golfing trip to Scottsdale. Would rent this house again in a heart beat. Excellent and thanks again. Wonderful home in Scottsdale. Accomodated 6 ladies for a golf weekend beautifully. Everyone had their own bed. Weather was a little cool so we didn't use the backyard. Pool and hot tub looked very inviting though! Girls weekend/30th birthday celebration! Was so fun! Six girls, we all had our own beds and it was awesome! We spent most of our time outside by the pool, relaxing. The house had everything that we needed and there was never a problem in the whole process of booking and all the way through our stay! We didn't want to leave. It was so hard to leave an 80/90 degree weather place and come back to snow. Would rent this place again. We had 11 guys for a long weekend of golf - the house was perfect. There was plenty of room to spread out and the outside patio area and pool was used non-stop. FYI- the dining room table seats 10 for poker very comfortably. Family members were in Scottsdale for a wedding. 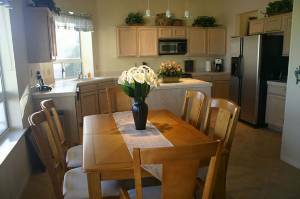 House was perfect: comfortable, spacious, great location, quiet, easily accommodated 12 people. Would recommend for any group. We had a group of ten who went for spring training and golf. The house was beautiful and comfortable, and located in a great community. We will definitely be back. This is a very nice home, located in an awesome area! comfortable for our 5 night stay here. What a wonderful place to stay!! We completely filled the house with 12 guests ranging from 74 down to 9 - the pool was great, although a little cold, the kitchen was fantastic and enough room for everyone to spread out when necessary - we will definately be back. Thank you for opening your home to us. We can not say enough good things about this house! We were in Scottsdale for a wedding and had to accommodate five families from all over the US; this house did it with ease! The layout was fantastic for our large group. We were able to spend time together but never felt like we were on top of each other, there was more than ample space to spread out and reconnect! The pool was a huge hit, we could not get the kids out of it! The backyard and patio was the hub of social activity. Unlike many houses we looked at to rent this house does not abut another house so we truly felt like we were at a desert oasis. Most nights of our stay we opted to remain home rather than go out, a true testament to the accommodations. Are we going to rent again.. you bet! I would highly recommend this house, it is a gem! Thank you, Joe. your house is wonderful. We really enjoyed our stays there. Our dental office staff just came back from 5 wonderful days in Scottsdale. We can't say enough good things about the house. It was exactly what we were looking for. We all had our own bedrooms, the pool and hot tub were wonderful , the kitchen had everything we needed and more. It was absolutely perfect. Our only problem is trying to convince the boss we need to come back and do this every year. If we are successful we will definitely be renting this house again. Thanks to Joe for making the renting process so easy, and to Garry for meeting us at the house and explaining everything to us. We will recommend this property to all of our friends who use the VRBO website. The house was wonderful and very comfortable for three families. The outside setting was perfect for children. The pool and hot tub were such a bonus. The house was very clean, and it had absolutely everything. The pantry was even stocked! We had a hitch with the air conditioning on the first night, but we had immediate service repair the following morning, and both management and owner were very responsive. Great place for 7 guys to stay...each with their own bed!! The kitchen was the best equipped kitchen I have EVER seen!! Cardinal was good to us...arrived when we did, showed us through, how things worked, etc. I used an oxygen concentrator which was too heavy to carry upstairs. Would definitely recommend this property for a large group. This house worked out perfectly for our golf trip. Location and amenities suited our group. Cardinal was easy to work with and we would certainly recommend them/this property to anyone, as well as use it again ourselves. The pictures do no justice for how WONDERFUL this house and location is. Minutes from shopping, dining, and grocery stores made it easy to navigate throughout Scottsdale. My party of 10 fit VERY COMFORTABLY and were able to make it our home for a few days. 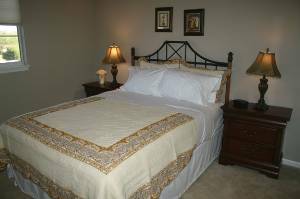 The owner along with property manager were available and easy to work with. WE LOOK FORWARD TO RENTING again!! If not this residence, from Cardinal Properties. helpful too. Eat at Mastro's!!! We had six adults and 3 children and everyone loved the house. It was spacious and clean and had a crib and table and chairs for kids. 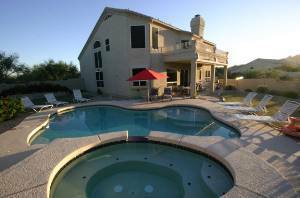 The backyard is nicely landscaped and the pool and whirlpool are great. we were a family of nine, coming from all parts of the US. the house worked wonderfully for all of us. we would recommend its rental to anyone. Extremely "large" and exceptionally clean. 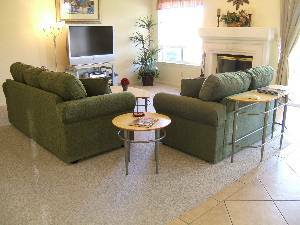 Many "gathering areas" to enjoy the company of your "family." On the music scale of rating rental homes in Scotsdale, I'd say it "ROCKED." I should write reviews for Zagat. spacious, clean and comfortable house. everything as described here and more. awesome pool and spa. would def stay here again! For 8 guys, the size and location of this house was perfect. The house was clean, spacious, and comfortable. We thoroughly enjoyed our week and look forward to coming back next year. This home was spectacular for our girls getaway. There were 10 of us and this home had plenty of room with great amenities. The location is near everything. It is the perfect place to stay at. From the time we booked to the time we left the property manager took really good care of us too. We can't say enough about how perfect this home is. PICTURES DO NOT SHOW HOW NICE THIS HOUSE REALLY IS!! VERY CLEAN!! VERY NICE!! HOPE TO STAY THERE AGAIN!! WE HAD A GREAT TIME!! This home offered the perfect setting for our family gathering. It is a beautiful,spacious home in a quiet setting, a short distance from Scottsdale's activities. The pool and hot tub were pristine. 25% deposit required to secure reservation. 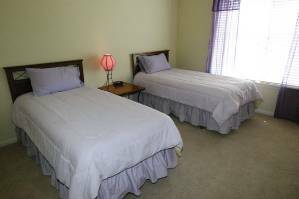 Cleaning fee: $150 cleaning fee required for groups up to 7 people; $175 for 8-9 people; $200 for 10+ people Refundable $500 security deposit. If you wish to heat the pool, there is an additional $175 energy fee. Cancellations and Refunds: 25% deposit required to hold reservation. The remaining 75% of rent + the Cleaning Fee and Security Deposit are due 45 days prior to arrival or reservation will be cancelled and deposits forfeited. All cancellation notices must be in writing. ALL RENT DEPOSITS ARE NON-REFUNDABLE; THERE ARE NO RENT REFUNDS FOR CANCELLATIONS OR EARLY DEPARTURES. Other Fees: If you wish to heat the pool, there is an additional $175 energy fee.